A series of six Ozawa Hall recital and chamber music concerts devised and curated by Emanuel Ax will feature some of the composer's most inspiring works performed by an extraordinary lineup of Boston Symphony Orchestra musicians and guest artists well known and beloved by Tanglewood audiences. Many of the works to be performed were composed during the last year of Schubert's life, in 1828. Among those who will perform are the following musicians: Emanuel Ax (piano), James Sommerville (horn), Peter Serkin (piano), William R. Hudgins (clarinet), and Anna Polonsky (piano). In addition, the Tanglewood Music Center Vocal Fellows will offer their vocal expertise to works by Schubert. The dates of these special concerts are July 6 and 20, August 3, 8, 17, and 23. Like the poets whose work he wrote his music around, Schubert was an unrivaled master of lyrical beauty. 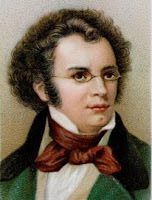 It is no secret that Schubert adored Beethoven—he was awed by him, to the point that he was too timid to even introduce himself to the musical giant when the two passed one another on the streets of Vienna. But it is far from a stretch to mention these two musical giants in the same sentence. Schubert produced masterful works with rich harmonies and legendary melodies for a variety of genres, and his influence proved considerable with later composers. It was only after Schubert's passing that his musical genius received the kind of recognition it deserved. His talent lay in is ability to adapt to almost any kind of musical form.